Imatech has a wide range of ARC reinforcement composites. A highly reinforced, beaded-ceramic composite for areas subjected to severe abrasive environments. ARC 890 is ideal for applications where abrasion-resistant alloys, ceramic tiles or rubber liners are traditionally used for repair. 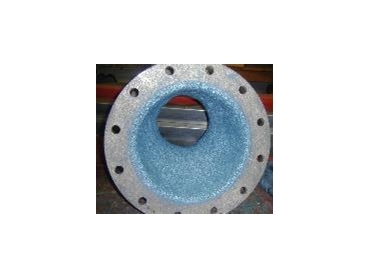 Applications include slurry pumps, dry-particle abrasion, and wear plates. The ARC 890’s minimum thickness 6 mm (1/4 inch). A finer beaded version of ARC 890. May be applied at a minimum thickness of 3 mm (1/8 inch). The abrasion-resistant ARC composite; this highly reinforced, beaded-ceramic composite is designed for areas subjected to severe abrasion. ARC MX1 can be molded to exact dimensions using conventional tooling and is ideal for applications where abrasion-resistant alloys, ceramic tiles, or rubber liners are traditionally used for repair. Applications include slurry pumps, dry-particle abrasion, and wear plates. Minimum thickness 6 mm (1/4 inch). Pure white, abrasion-resistant composite is a highly reinforced, beaded-ceramic composite designed for areas subjected to severe abrasion. ARC MX2 can be molded to exact dimensions using conventional tooling and is ideal for applications where material contamination is a major concern. Applications include cleaner cones, slurry-mixing blades, and wear plates. Minimum thickness 3 mm (1/8 inch). This chemical and abrasion resistant ARC composite is a highly reinforced, beaded-ceramic composite designed for areas subjected to severe abrasion in aggressive chemical environments. ARC MX4 can be moulded to exact dimensions using conventional tooling and is ideal for applications where abrasion-resistant alloys, ceramic tiles or rubber liners are traditionally used for repair. Applications include corrosive slurry pumps, agitator blades, and chemical pipelines. Minimum thickness 6 mm (1/4 inch). A rapid-cure version of ARC 897. Ideal for quick repair of worn areas. May be applied at a minimum thickness of 3 mm (1/8 inch).